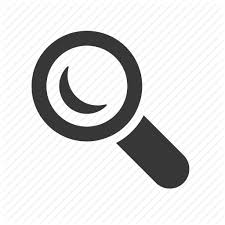 Before closing this section we deem it mandatory to illustrate, in brief, the study and the researches of Zecharia Sitchin about Nibiru. 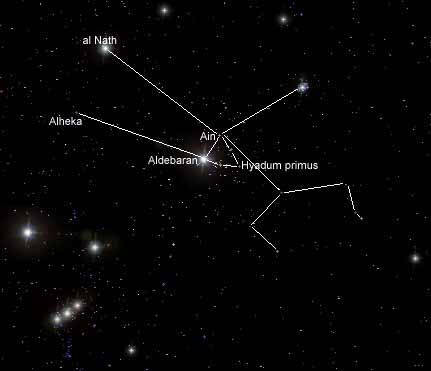 In his book, "The Twelfth Planet", he connects the Sumerian mythology with that of Greece (we should talk, more appropriately, of cosmology): in the beginning there was chaos; then Gea (Earth) and Uranus (the Heavens) were created. They begot twelve Titans (six males and six females). "...It also appears that the number twelve was a requirement...There could be no more than twelve Olympians, but no fewer than twelve, either. The original Olympus was described by the Odyssey as lying in the "pure upper air." The original Twelve Great Gods were Gods of Heaven who had come down to Earth; and they represented the twelve celestial bodies in the 'vault of Heaven.'..." The Latin names the Romans gave to the Greek gods confirm this astral association: Gaea = Earth, Ermes = Mercury, Aphrodite = Venus, Ares = Mars, Cronus = Saturn, Zeus = Jupiter. 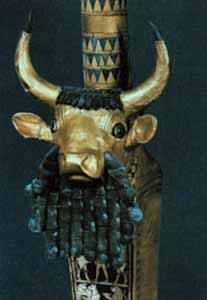 "...Archaeological finds have confirmed the extensive Minoan worship of the bull, and some cylinder seals depict the bull as a divine being accompanied by a cross symbol, which stood for some unidentified star or planet...."
This leads to interpret the worshiping of the bull as the terrestrial symbol of the constellation of Taurus, assuming that the cult stemmed from some event occurred "when the Sun's spring equinox appeared in that constellation, circa 4000 B.C." The Greek Pantheon's roots are to be found, according to Sitchin, in Asia Minor. "...The gods Rahu ("demon") and Ketu ("disconnected") were once a single celestial body...but the God of Storms hurled his flaming weapon at him, cutting him into two parts - Rahu, the "Dragon's Head," which unceasingly traverses the heavens in search of vengeance, and Ketu, the 'Dragon's Tail.'..." The Hindu Pantheon, in the same way as the Greece, was composed by 12 principal gods. Sitchin highlights the connection between the mythology of those civilizations found near Mesopotamia, such as the Greeks and the Hindu, and the Sumerians cosmology. The relationship between the gods and the planets is so important to represent the key, says Sitchin, to unravel the mystery of the creation of our Solar System. "...THE SUGGESTION that Earth was visited by intelligent beings from elsewhere postulates the existence of another celestial body upon which intelligent beings established a civilization more advanced than ours...The Sumerians accepted the existence of such a "Heavenly Abode," a "pure place," a "primeval abode." While Enlil, Enki, and Ninhursag went to Earth and made their home upon it..."
The Sumerian texts clearly state that the Mesopotamian people saw their gods "landing" on Earth, and then going back up to their "Heavenly Abodes" at will; this can only meant that these gods didn't come from far away galaxies but, rather, they were coming from within our Solar System. Sitchin continues outlining how the Sumerians were absolutely certain that our Solar System was composed of twelve planets (they included the Sun and the Moon as well), and that the Twelfth (or Tenth) Planet was the place of origin of the Anunnaki and the Nephilim. Franza Kugler analyzed some Chaldean texts finding 'mulmul ul-shu 12' (mulmul is a belt of 12), ten of which formed an independent group..."
According to Sitchin, Mulmul was our Solar System. Several studies show that the division of the year in twelve months was connected since the beginning with twelve great gods; that the twelve months are deeply linked to the twelve constellations, and that both originated from twelve main celestial bodies..."
"...Indeed, all the peoples of the ancient world considered the periodic nearing of the Twelfth Planet as a sign of upheavals, great changes, and new eras...R. Campbell Thompson (Reports of the Magicians and Astronomers of Nineveh and Babylon) reproduced several such texts, which trace the progress of the planet as it "ringed the station of Jupiter" and arrived at the point of crossing, Nibiru,"
"When from the station of Jupiter"
there will be a time of dwelling in security. Kindly peace will descend on the land. ...the king of Akkad will grow powerful. ...The gods will receive prayers and hear supplications." ...Rains and floods will come." We believe these passages to hint on something not entirely comforting, especially the first one, if we consider their implicit meaning: the sentences "...the gods will receive prayers and hear supplications..." and "the gods will give peace..." if read through the effects that the arrival of Nibiru would bring with it, does not leave much room for positivism. What does "the gods will give peace" means in connection with upcoming catastrophes and cataclysms? "...Mesopotamian texts exalted the [Twelfth] planet's radiance and suggested that it could be seen even at daytime: "visible at sunrise, disappearing from view at sunset..."
...the Mesopotamian and biblical sources present strong evidence that the orbital period of the Twelfth Planet is 3,600 years..."
"...The Sumerians believed that Nibiru was a 'living' planet. Life, therefore, was created within the external farther reaches of our Solar System. Nibiru arrived, looking like a reddish planet with its own which generated its own heat." Sitchin writes of the existence of a document which would contain a message from deep space. In it, a complete description of the Earth's position, the coordinates and the direction to reach Earth is explained..
"...such extraordinary evidence does exist....The evidence is a clay tablet found in the ruins of the Royal Library in Nineveh. Like many of the other tablets, it is undoubtedly an Assyrian copy of an earlier Sumerian tablet. Unlike others, it is a circular disc; and though some cuneiform signs on it are excellently preserved, the few scholars who took on the task of deciphering the tablet ended by calling it "the most puzzling Mesopotamian document...the disc, which is divided into eight segments...bears geometric shapes unseen on any other ancient artifact, designed and drawn with considerable precision. 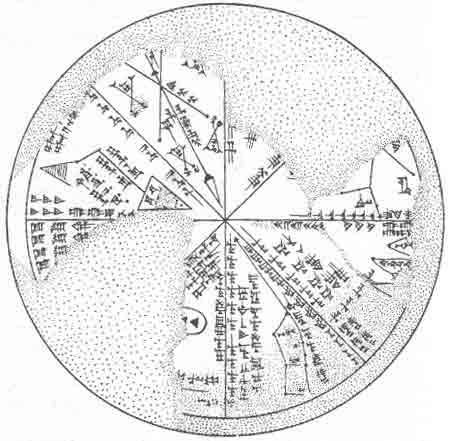 They include arrows, triangles, intersecting lines, and even an ellipse - a geometric-mathematical curve previously assumed to have been unknown in ancient times..."
The names of the celestial bodies carved into the eight segments of the disc prove the astronomical function of the tablet. The disc has been analyzed with a more or less degree of accuracy in the past, giving unsatisfactory results, partly because of the superficiality of the analyses, and partly because of the dogmatic approach used by scholars. "...Ernst F. Weidner, first in an article published in 1912 (Babyloniaca: "Zur Baby-lonischen Astronomic") and then in his major textbook Handbuch der Babylonischen Astronomie (1915), thoroughly analyzed the tablet, only to conclude that it did not make sense. His bafflement was caused by the fact that while the geometric shapes and the names of stars or planets written within the various segments were legible or intelligible (even if their meaning or purpose was unclear), the inscriptions along the lines (running at 45-degree angles to each other) just did not make sense. They were, invariably, a series of repeated syllables in the tablet's Assyrian language..."
"...The line represents a route...The starting point is the triangle on the left, representing the farther reaches of the solar system; the target area is on the right, where all the segments converge toward the landing point..."
Next, Sitchin goes on in reading the other segments of the disc, interpreting them as planetary coordinates (ascending and descending). According to Sitchin, the Nibiruans drew landing points and routes in order to undertake periodical voyages to Planet Earth, when Nibiru was close to it, that is, within the orbital point intersecting our Solar System (the point of the 'crossing'). 445,000 The Nefilim, led by Enki, arrive on Earth from the Twelfth Planet. Eridu - Earth Station is established in southern Mesopotamia. 430,000 The great ice sheets begin to recede. A hospitable climate in the Near East. 415,000 Enki moves inland, establishes Larsa. 400,000 The great interglacial period spreads globally. Enlil arrives on Earth, establishes Nippur as Mission Control Center. Enki establishes sea routes to southern Africa, organizes gold-mining operations. 360,000 The Nefilim establish Bad-Tibira as their metallurgical center for smelting and refining. Sippar, the spaceport, and other cities of the gods are built. 300,000 The Anunnaki mutiny. Man - the "Primitive Worker" - is fashioned by Enki and Ninhursag. 250,000 "Early Homo sapiens" multiply, spread to other continents. 200,000 Life on Earth regresses during new glacial period. 100,000 Climate warms again. The sons of the gods take the daughters of Man as wives. 77,000 Ubartutu/Lamech, a human of divine parentage, assumes the reign in Shuruppak under the patronage of Ninhursag. 75,000 The "accursation of Earth" - a new ice ago begins. Regressive types of Man roam Earth. 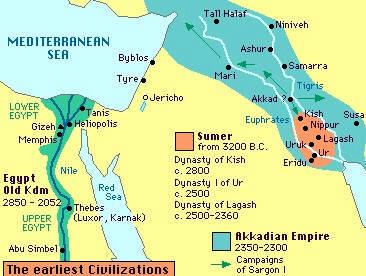 49,000 The reign of Ziusudra ("Noah"), a "faithful servant" of Enki, begins. 38,000 The harsh climatic period of the "seven passings" begins to decimate Mankind. Europe's Neanderthal Man disappears; only Cro-Magnon Man (based in the Near East) survives. Enlil, disenchanted with Mankind, seeks its demise. 13,000 The Nefilim, aware of the impending tidal wave that will be triggered by the nearing Twelfth Planet, vow to let Mankind perish. The Deluge sweeps over Earth, abruptly ending the ice age. 2. The Neolithic culture, circa 7500 B.C. 3. The sudden civilization of 3800 B.C. Following Sitchin's trail, then, is Nibiru's arrival bound to happen in AD 3,400?